A mammal of the genius Ovis, the acryl is often mistaken for the sheep. But only by the colour blind. Or the stupid. 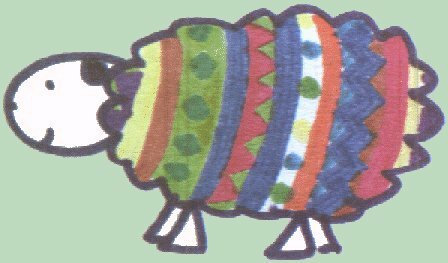 Whereas the domestic sheep is considered an all round good egg for producing wool, the acryl outdoes him by producing acrylic. Yes, without this wonderful animal you would not get that lovely jumper for Christmas. The acryl is considered superior to the sheep in that it comes ready coloured. Some rare and expensive breeds even come patterned, normally in a stripey way. The main foodstuff of the acryl is the pizza plant, their favourite flavour being the common cheese and tomato variety. However in a pinch they can put up with a Whopper meal. Acryls are found in certain parts of Surrey, Scotland, and also the fantasy land the United States of America.